Every once in a while you visit a resort or location that's so magical and unforgettable you know it's a destination you'll make a point to return to one day. 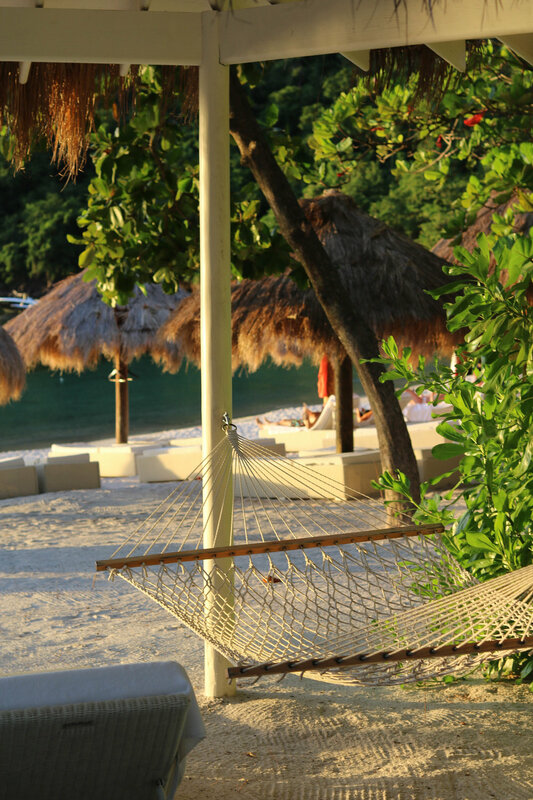 For me, Sugar Beach Resort on the beautiful island of St. Lucia is one of those places. This past November Greg and I celebrated our one year wedding anniversary, and leading up to the milestone we knew we wanted to do something special. 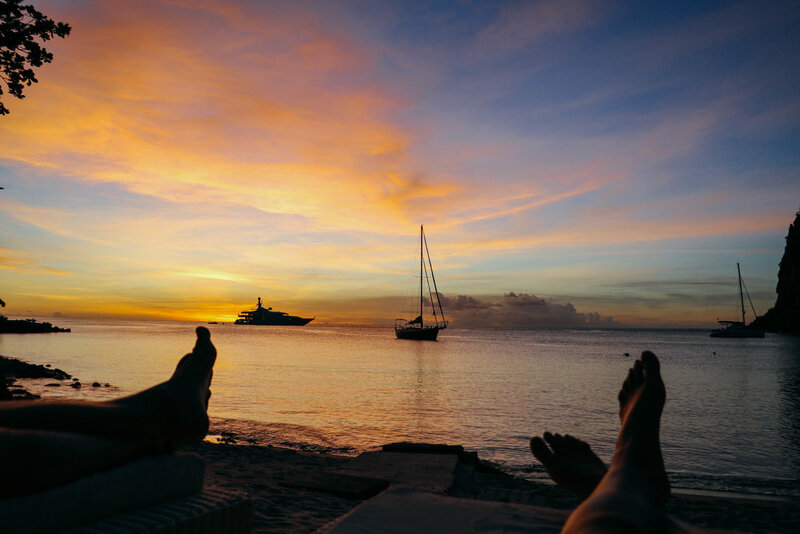 With Thanksgiving just a few days later and plans to spend the holiday in Barbados, we decided to head to the Caribbean early to enjoy the neighboring island of St. Lucia, a country that had been on my must-visit list the past couple of years. 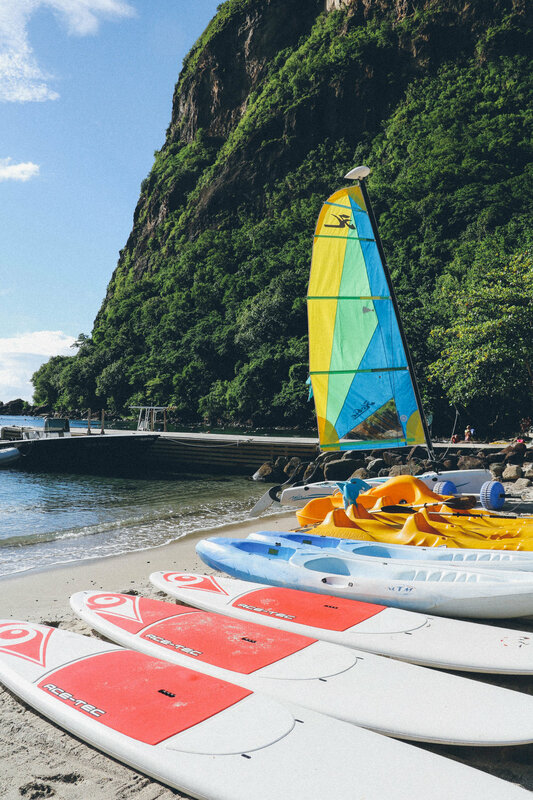 Thanks to its mountainous terrain and lush landscape, St. Lucia's beauty is unmatched by other Caribbean islands. Before our trip I knew very little about the country other than it was home to the photogenic Pitons, and that alone was enough to lure me in. With this image in mind, we chose to stay at the Viceroy's Sugar Beach Resort, which is spectacularly situated between the dramatic mountains, ensuring phenomenal views both from the sand and the water. 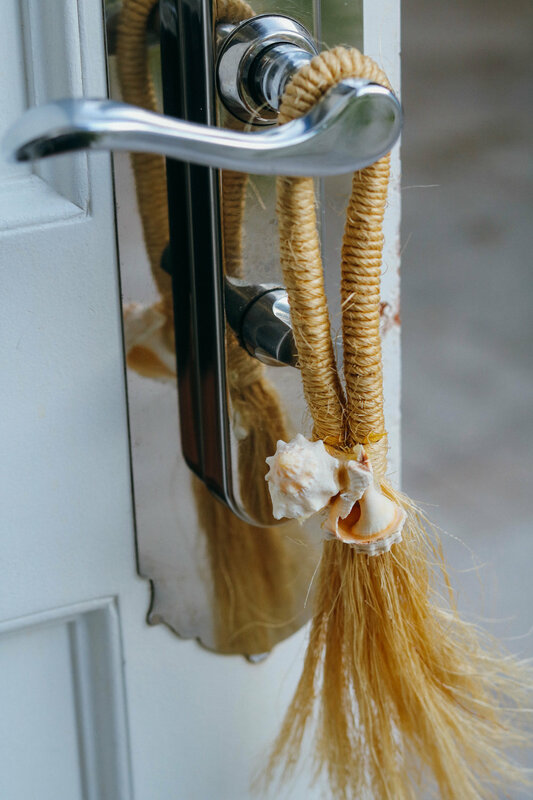 After a long, windy drive on remote island roads, we arrived at the west coast's prime spot and were welcomed with cold hand towels and specialty frozen drinks as a "butler" walked us through the features of our room and the resort grounds. With a private lunge pool, outdoor shower and direct access to the palm-fringed beach, our bungalow was a sanctuary of tranquility and seclusion. The floor-to-ceiling pure white decor mixed traditional Caribbean flare with modern amenities, all effortless and relaxed, with every detail attended to. It was exactly the type of accommodation you'd dream of for this setting!! The small resort is "set within over 100 acres of pristine rainforest and on the site of an 18th Century sugar plantation". 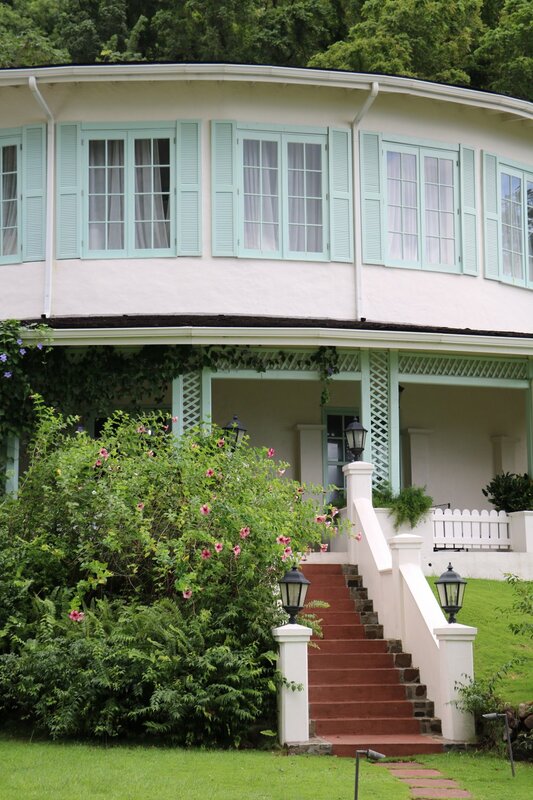 I've always loved traditional Caribbean architecture, as there's a beautiful nostalgia and charm attached, and the main house on the property is no exception, with well-crafted wicker, bright color shutters and grand rooms overlooking the sea. 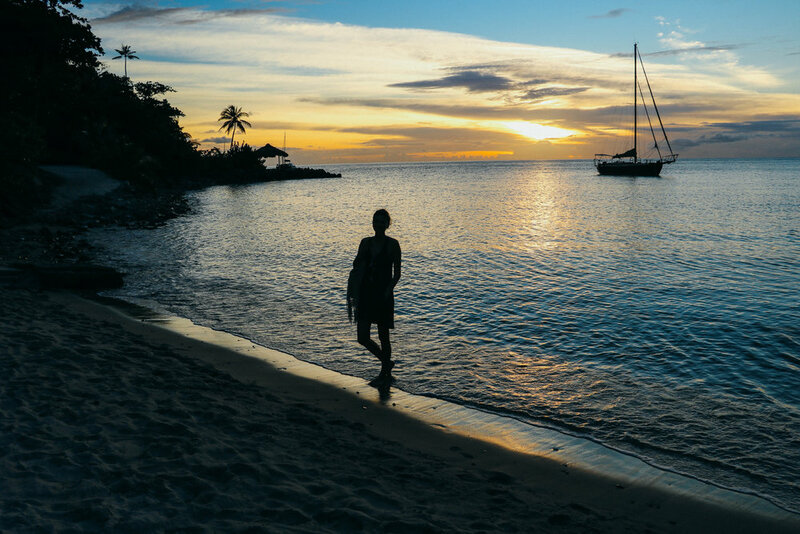 Though you're in the Caribbean at moments you feel almost as though you've been transported to the South Pacific, as the natural beauty of the inland mountains, lush greenery and hidden waterfalls evoke thoughts of Bora Bora or Moorea. 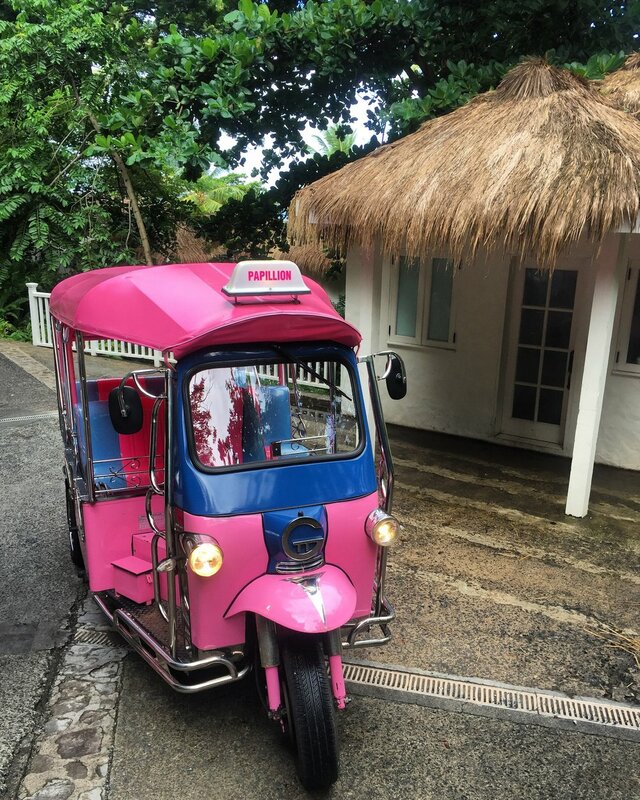 Not to mention the resort's primary mode of transportation is brightly painted Tuk Tuks! With so much to do on premise, there's no need to leave the property during your stay. For those seeking action, paddle-boarding, windsurfing, snorkeling and scuba-diving are a few of the water activities offered on-site. Or, if rejuvenation and pampering are more your speed, you can spend an afternoon at the indulgent Rainforest Spa. There's also tennis courts, beach volleyball and of course, delicious restaurants offering everything from sushi to local cuisine. Personally, sunbathing, reading a good book, and my favorite pastime (see below) was enough activity for me and the days were not near long enough! Our only goal for the trip- which we definitely accomplished!- was total relaxation. Though we opted for zero plans and sleeping in, there is so much to see and do on the relatively unknown island. With hiking, quaint villages, mud baths, banana plantations, and even the world's only drive-in volcano(! ), you won't run out of places to explore. There are a handful of resorts on the island known for their breathtaking views and seclusion, such as Jade Mountain and Ladera, which we considered staying at, but the direct beach access the Viceroy offered won us over and we couldn't have been more pleased with our choice! We're already daydreaming of our next visit!